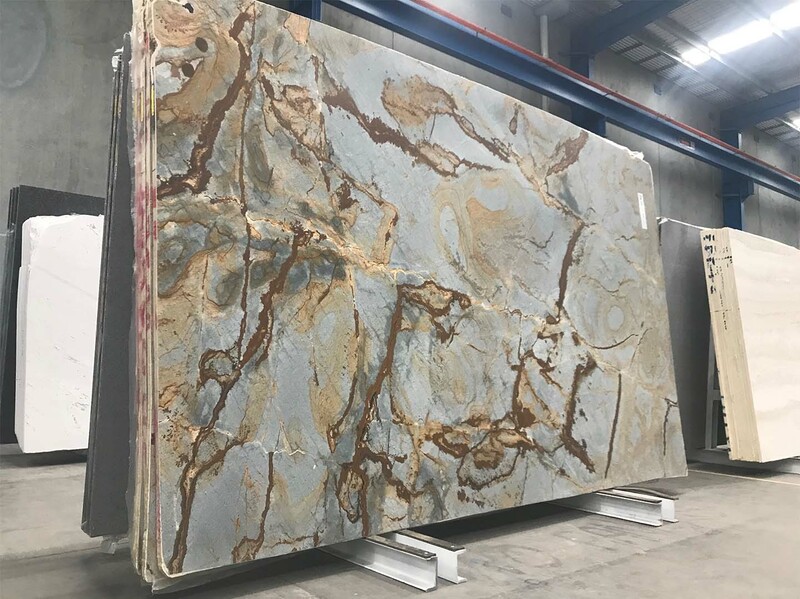 Blue Mare is a blue quartzite which can be used for benchtops, vanities or any other application. The quarry it is from often changes in colour and pattern, this quartzite is truly unique. It has a bright baby blue natural background, with smoky coppery gold veining. We recommend using this stone as a feature piece, like a wall covering.